Many media reports today advocate that certain kinds of alcohol used in moderation are healthy for the heart. There have been news headlines asking the question “Why don’t the French have heart disease?” The truth of the matter is that the French do have heart disease—it is their second leading cause of death—but they have less heart disease than Americans. So the next question is why? 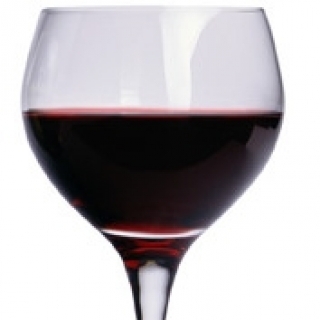 Many believe that their higher intake of red wine is attributable to their lower incidence of heart disease. In actuality, there are other factors that apply. Studies have shown that the French have a lower consumption of dairy products. Dairy fat is strongly related to heart disease and the French drink very little milk. Another factor is that the French consume a higher amount of vegetables and fruits, which are know to be heart-protective. It should be noted here that certain groups in America have a far lower rate of heart disease than the French and one of these groups is American Seventh-day Adventist vegetarians. They (for the most part) drink no wine or alcohol. Unfortunately, these findings rarely find their way to the media. There is actually no evidence that alcohol provides any heart benefits. Rather, much of the benefits attributed to drinking wine should be attributed to the main ingredient of wine—grapes. They contain an abundance of substances called flavonoids that are known to prevent platelet clumping. They also inhibit the oxidation of LDL cholesterol and are more potent antioxidants than vitamin E. It would seem that the publicity given to the use of moderate amounts of alcohol for heart disease prevention is not the result of rigorous scientific research, but is to a large extent inspired by commercial purposes. When it comes to drug abuse, alcohol tops the charts. Parents are generally concerned about their teens getting hooked on cocaine, crystal meth, or a host of other addictive drugs, yet see nothing wrong with their teens having a social drink. The facts are startling but true—many kids are already alcoholics by the time they reach adulthood and others are just as surely on their way. Alcohol claims at least 100,000 American lives per year, which is five times as many as all illegal drugs combined. In the United States, alcohol is second only to tobacco on the list of most deadly drugs, and this probably extends to the rest of the world as well. The National Council on Alcohol and Drug Dependency states that alcohol is closely linked with virtually every negative aspect of society: suicide, violent crime, birth defects, industrial accidents, domestic and sexual abuse, disease, homelessness, and death. Alcohol ravages the lives of family and friends. More than $86 billion are spent annually in the US to purchase alcoholic beverages and as much as $116 billion are spent annually for the cost of damage to society from alcohol such as divorce courts, health care, lost work, and premature deaths. The total annual cost therefore, amounts to more than $202,000,000,000 for alcoholic beverages annually. Alcohol damages the brain. It increases the risk of hypertension, stroke and damage to the heart muscle. It depresses the respiratory functions, and weakens the body’s immune system, which is the body’s defense against cancers and infection. Alcohol can damage cells in the testes, causing impotence, sterility and possible enlarged breasts in men. In women, it can cause irregular menstrual cycles and malfunctioning of the ovaries. It is also a well-known fact that alcohol is linked to birth defects in infants and to fetal alcohol syndrome. Other side effects of alcohol use are elevated triglycerides, impaired sexual function, low blood sugar, vitamin and mineral deficiency, chronic fatigue, osteoporosis, gout, anemia, and a decreased number of blood platelets. Alcohol affects the liver more than any other organ of the body because the liver must filter alcohol from the blood. This results in excess calories in the alcohol being stored as fat in the liver. In addition, functioning liver cells die from alcohol poisoning and the scar tissue that replaces these dead cells causes cirrhosis of the liver. The challenge to stay drug-and-alcohol-free is greater now than ever for teenagers. The media is constantly bombarding our kids, telling them that drinking alcohol is synonymous with being accepted and having a good time. The peer pressure is enormous. Statistics show that 37% of all 12 through 17 year-olds currently use alcohol, not to mention the fact that 5 million American teens already have serious problems stemming from alcohol use. It is true that young people who grow up in nonalcoholic homes are less likely to have problems with alcohol when they reach adulthood. This means that a parent’s example can make a huge difference. Not only do parents bear responsibility but Christian churches are also able to influence the moral values and practices of society more than any other institution through their beliefs, teachings and preaching. Satan is taking the world captive through the use of liquor and other narcotics. The mind God has given us needs to be kept clear so that we can distinguish correctly and have a sense of what is right and wrong. “The Lord has given special directions in His work in reference to the use of wine and strong drink. He has forbidden their use, and enforced His prohibitions with strong warnings and threatenings. But His forbidding the use of intoxicating beverages is not an exercise or arbitrary authority. He seeks to restrain men, in order that they may escape from the evil results of indulgence in wine and strong drink. Degradation, cruelty, wretchedness and strife follow as the natural results of intemperance (Temperance, 53). Wine is a mocker, strong drink is raging and whosoever is deceived thereby is not wise (Proverbs 20:1). When temperance is presented as a part of the gospel, many will see their need of reform. They will see the evil of intoxicating liquors and that total abstinence is the only platform on which God’s people can conscientiously stand (Temperance, 165).